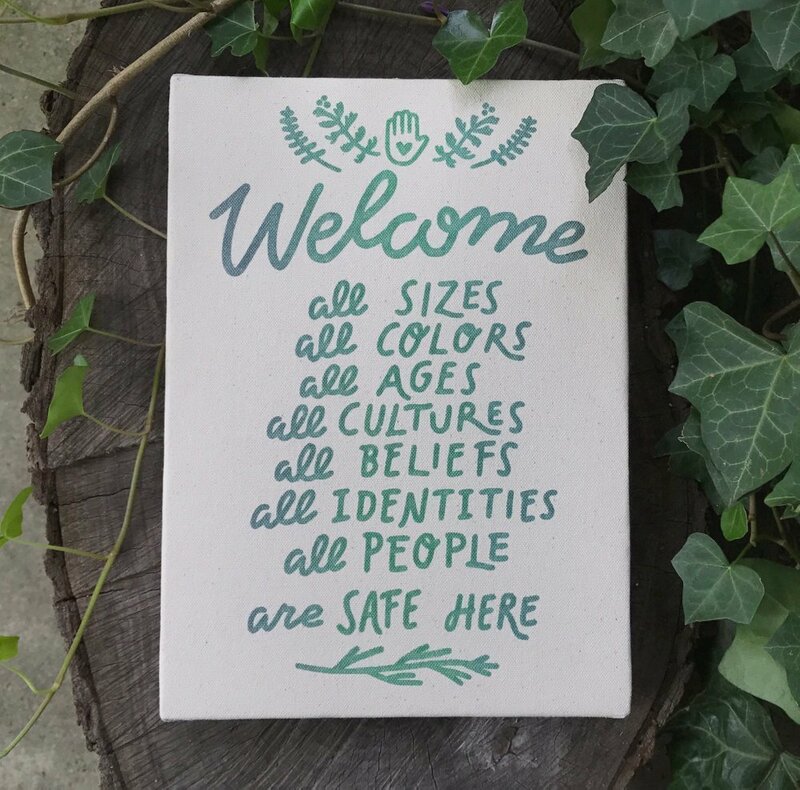 Welcome is a multi color screen print on natural stretched canvas. Hand applied color means each individual print is a little different. Colors include green, aqua, violet and navy. Measures 8 x 11" on handmade pine frame.